This species is accepted, and its native range is Brazil (Rio Grande do Sul) to N. Argentina. Lagenia angustifolia (Hook. & Arn.) E.Fourn. 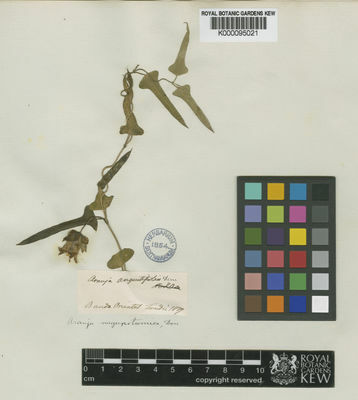 Physianthus angustifolius Hook. & Arn.